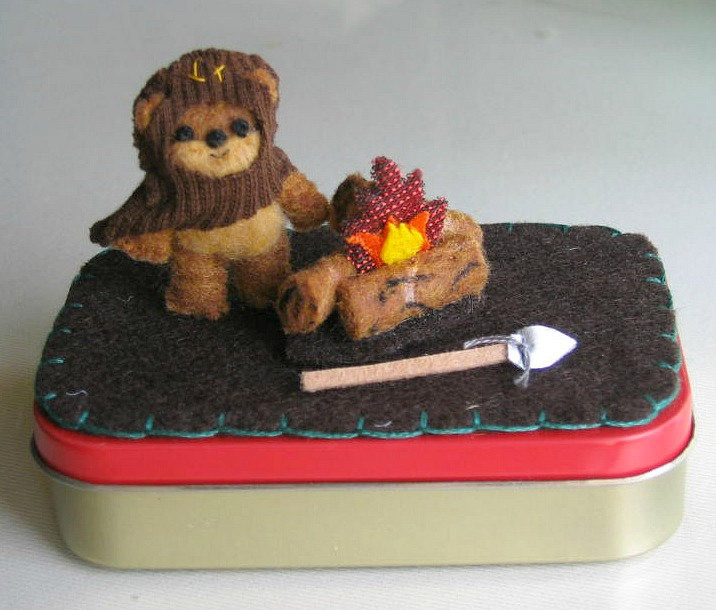 This adorable playsets feature a fuzzy Ewok, a spear, and a roaring fire, all of which fit inside Altoids tins (also included and decorated to match). 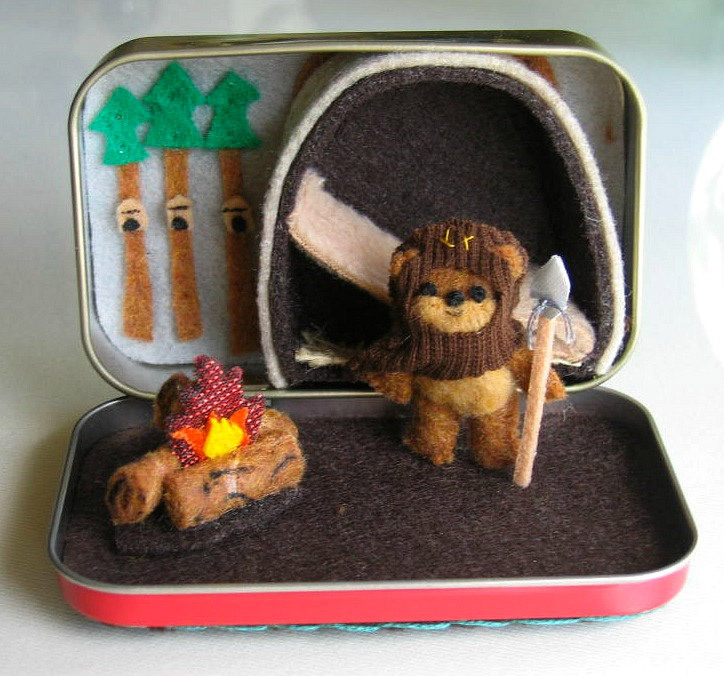 The Ewoks measure just over 1.5″ tall and, inside the tin, there are trees and a little cave with a fleece hammock for a nap. 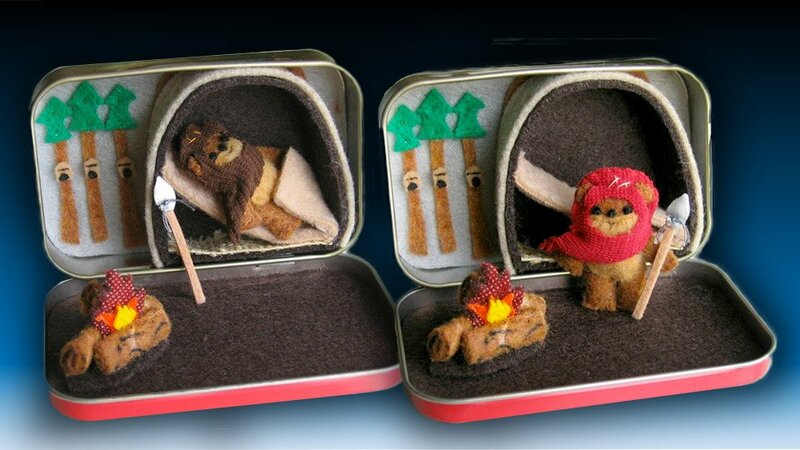 Created by Etsy artist Kathleen Tinkham, these are perfect for little Star Wars fans.